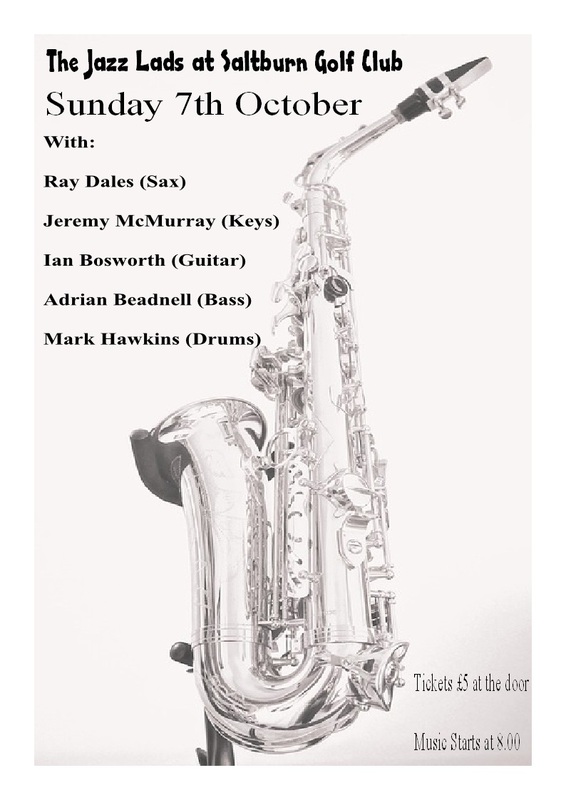 It seems as though the Jazz Lads' gig at Saltburn Golf Club on Sunday, October 7, will be the last one. This, it would appear, is due to a change in the club's opening hours. Help the 'Lads' go out with a '3 under' round and, if you have any ideas for a new venue, get in touch - sorry Gleneagles, too far unless you are prepared to pay the petrol.